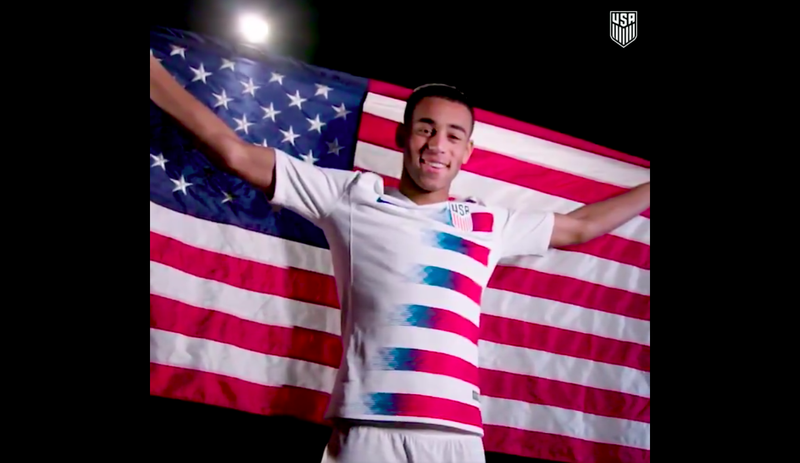 U.S. Soccer unveiled the new uniforms for the men’s and women’s national teams in what amounted to a Friday afternoon news dump. The timing was strange, and almost made it seem like they didn’t want to remind everyone that the U.S. men’s national soccer team will not be wearing these sweet new kits at this year’s World Cup, because the team totally imploded and failed to qualify for the first time since 1986. I mean, look at the detail on these smooth-looking jerseys! Seriously, you should look really closely, as you will not see them on your TV this summer because the squad somehow managed to finish behind Mexico, Costa Rica, Panama, and Honduras in the absurdly easy CONCACAF hexagonal table. They have light and dark versions of the uniform, both of which look very sharp and neither of which will see any action in the 2018 World Cup because U.S. Soccer overlord Sunil Gulati, his coaches—first Jurgen Klinsmann and then Bruce Arena, neither without blame—as well as the entire system of American soccer, failed to put together a squad that could beat Trinidad and Tobago! “Here at last,” U.S. Soccer says. Thank God we don’t have to wait any longer to see what these uniforms look like! Unfortunately, we WILL have to wait four more years to see the U.S. men’s national team play in the the most important competition in the entire world. But yeah, cool kits.